Chinese smartphone maker Xiaomi is looking beyond typical consumer electronics and making a play for the home appliances market with a new air purifier that can be controlled via a mobile phone. 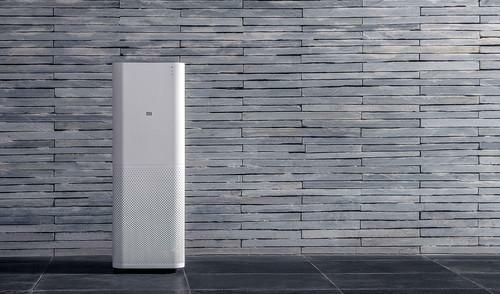 The fast-rising company on Tuesday unveiled its "Mi Air Purifier", which will go on sale in China through the company's site on Dec. 16. Like its other products, Xiaomi is selling the air purifier at a low price that could undercut its rivals, and will offer it at 899 yuan (US$146). 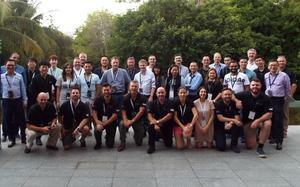 Founded only four years ago, Xiaomi has quickly taken the Chinese market by storm with its hit Android phones. But the company also sees a vast market for filling up customers' homes with Xiaomi-made smart connected devices. In addition to its Android tablet and fitness tracker, the company has launched a smart TV and a Wi-Fi router. Xiaomi's CEO Lei Jun has also talked about using smartphones and wearables to control home and office appliances. The company's new air purifier can clean 406 cubic meters of air an hour, and has a real-time air quality monitor. Users can synch the air purifier with a smartphone to control it remotely, and receive air quality data. For now, Xiaomi has no plans to release the air purifier outside of its home market, but the appliance could sell well in China, where there's growing demand for products that can provide clean air. Due to heavy coal burning and large amounts of car traffic, many Chinese cities including Beijing routinely face hazardous air pollution levels. Other Chinese tech firms including Lenovo have also come out with smart air purifiers in a bid to expand in the connected devices market.